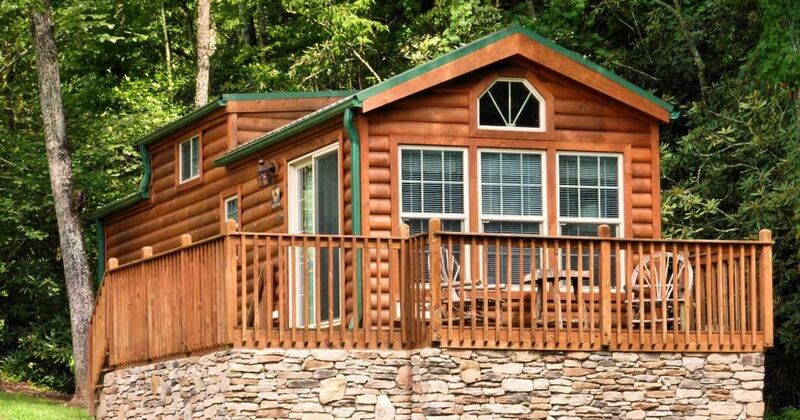 If you want a rustic retreat without giving up too many of the comforts of modern living, you’ll love the Cub Cabin from Hideaway Cabins, located in Hendersonville, North Carolina. 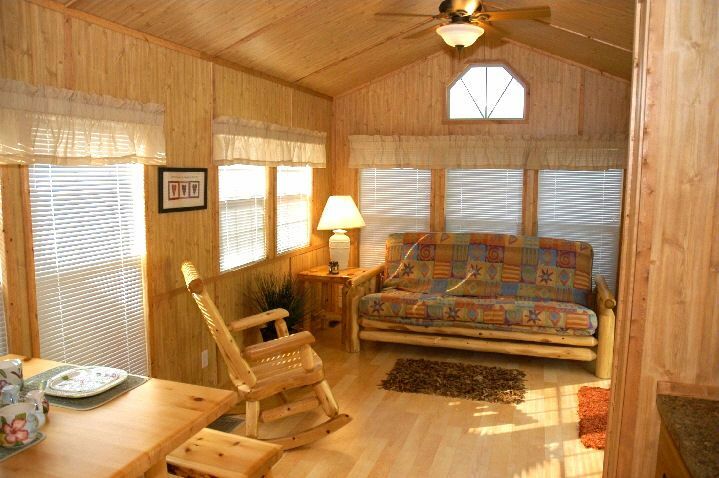 The home comes with features like a 25-year metal roof, thermopane windows, upgraded insulation and handmade furniture. The flooring, fabrics and countertops can come customized. 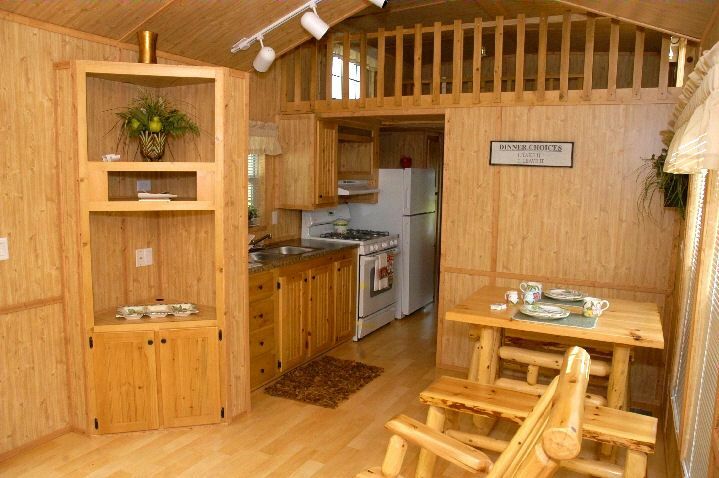 The Cub Cabin comes with a choice of four different floor plans. The biggest difference is choosing where the dining space is in relation to the kitchen. One option also has the kitchen more separated from the main living area, if you like a more segmented floor plan. 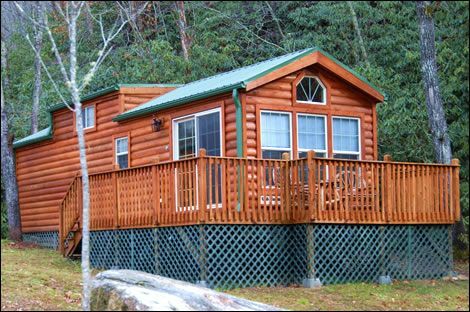 The exterior comes with a very classic bright green metal roof and log siding, so it’s great for people who love that classic cabin look. 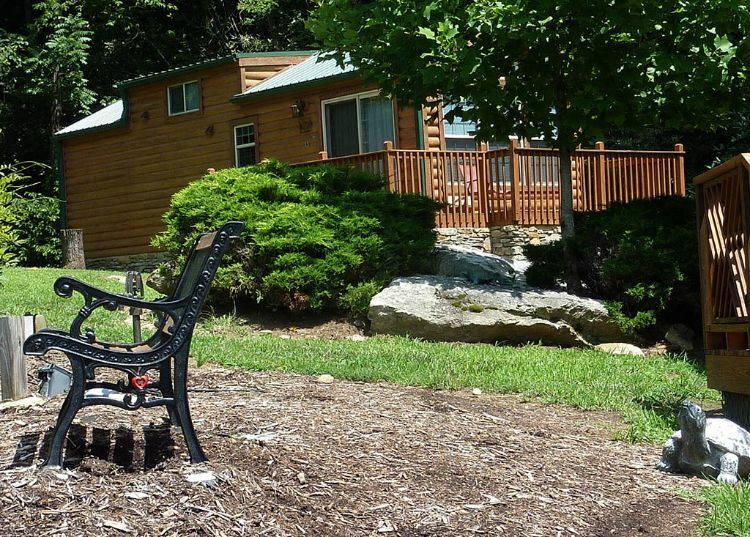 The photo below shows how a porch addition makes this park model more versatile. The inside has a very basic, rustic look to it. This photo below shows a loft option. 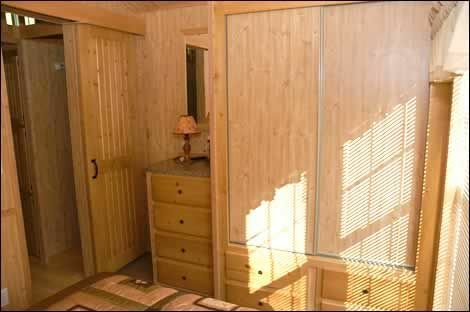 The unornamented wood floor, walls, ceiling and cabinets give a classic and basic cabin look. The furniture is handmade from pine. The living area has enough room for a full sofa, also matching the rustic pine log décor style. Plenty of windows will let in natural light. 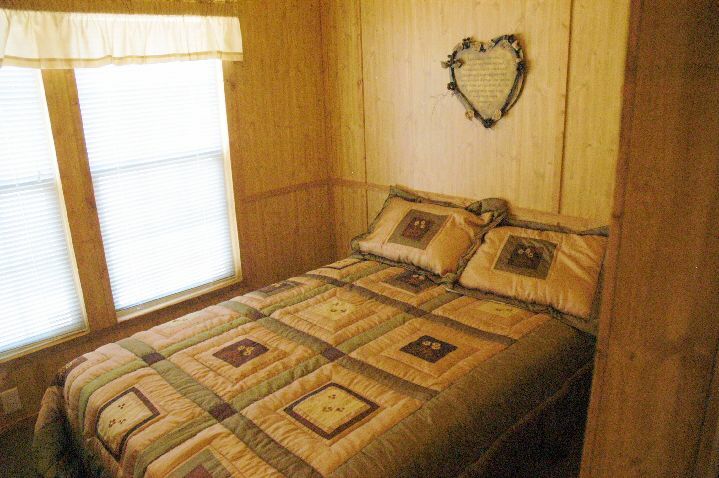 The full-sized bedroom allows for plenty of storage with generous cabinetry. This room also keeps to the rustic wood aesthetic. If you love this simple, rustic park model as much as we do, make sure to share it on Facebook! The Alaskan is a beautiful 330 square feet of woodworking mastery.